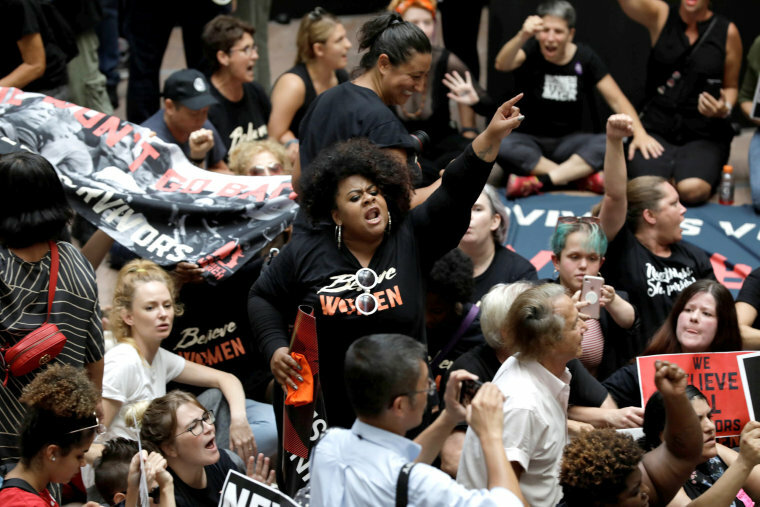 Demonstrators came out in full force against the Supreme Court vote which ultimately resulted in Judge Brett Kavanaugh's confirmation Saturday with a 50-48 vote. 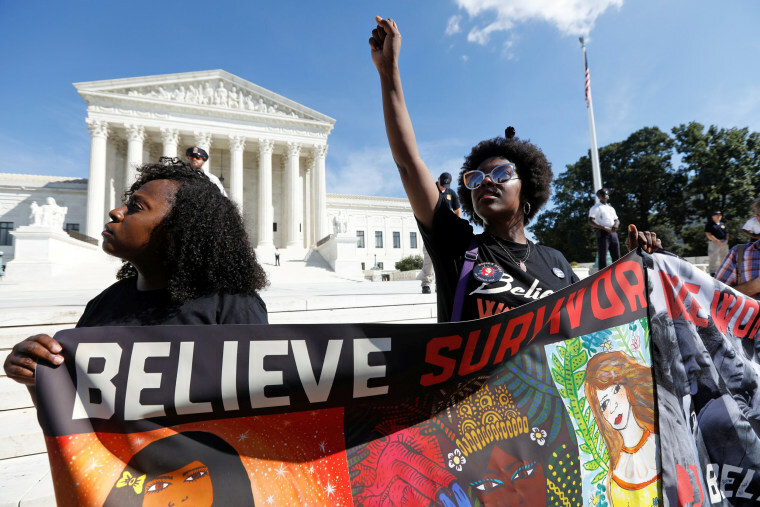 Marchers react as the U.S. Senate voted to confirm Supreme Court nominee Brett Kavanaugh 58-40, during the 'Amber Rose SlutWalk' in Los Angeles on Oct. 6, 2018. This is the fourth year of the gender inequality awareness event led by the glamour model. 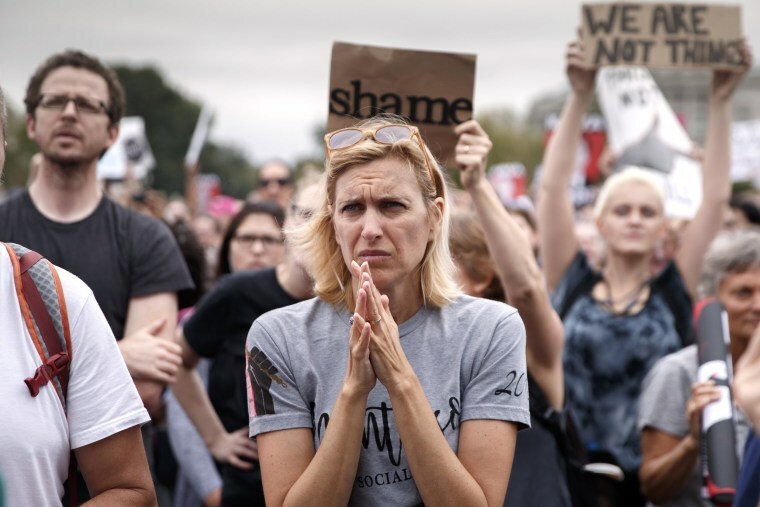 A demonstrator stands in silent protest outside the U.S. Capitol as the Senate votes to confirm Brett Kavanaugh on Oct. 6. 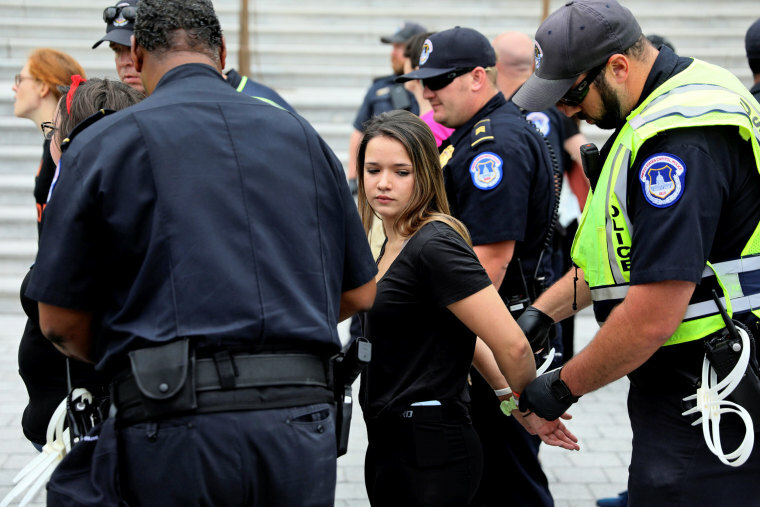 U.S. Capitol Police detain protesters who occupied the East Front steps of the U.S. Capitol before the Senate votes, on Oct. 6. 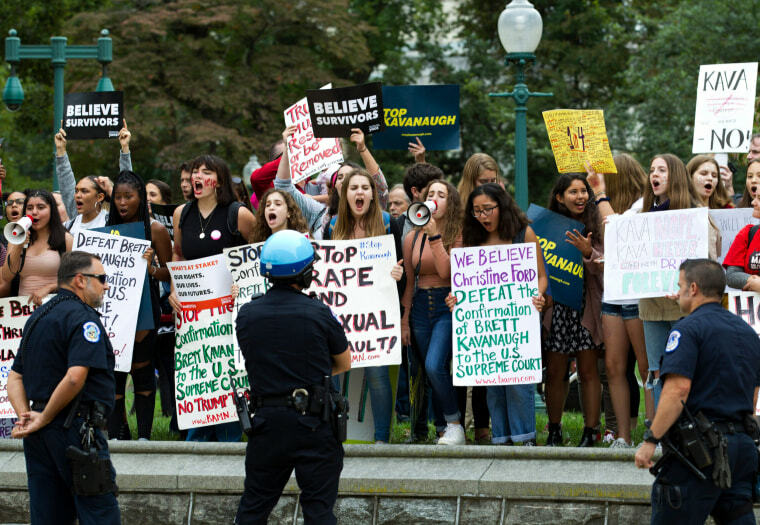 The anti-Kavanaugh demonstrators were eventually arrested. 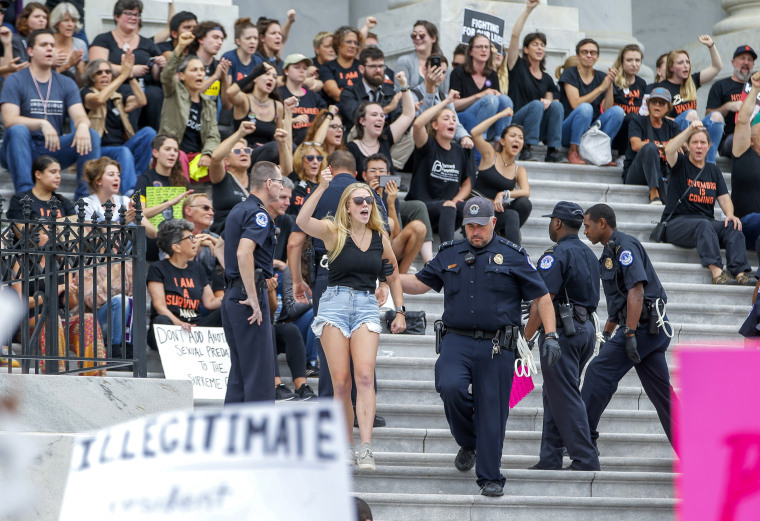 U.S. Capitol Police arrest protesters from the steps of the Capitol in the hours ahead of a scheduled Senate vote on the confirmation of Supreme Court nominee Judge Brett Kavanaugh in Washington on Oct. 6. Protesters demonstrate at the East Front of the U.S. Capitol on Oct. 6. Just before 1 p.m. ET, hundreds of protesters crossed police lines to gather on the steps of the Senate, chanting, "November is coming." Activists listen during protests on the East Front of the U.S. Capitol Oct. 6. Protesters demonstrate on the East Front of the U.S. Capitol on Oct. 6. 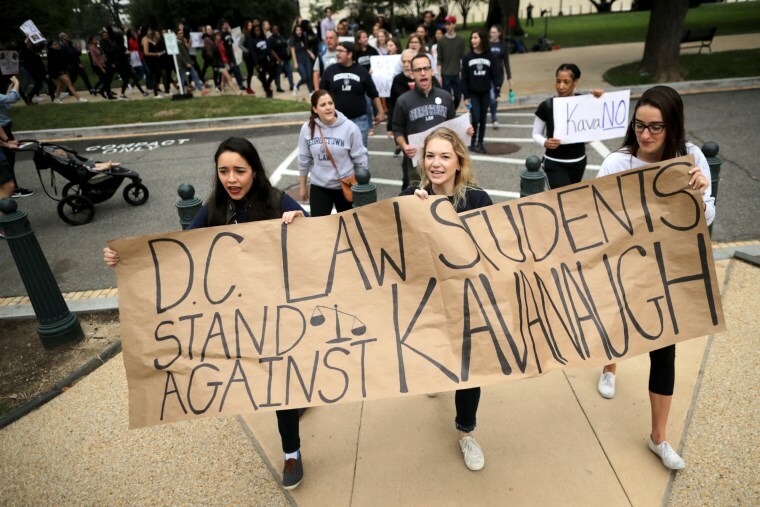 Demonstrators from Washington-area law schools — including Georgetown, George Washington, Howard, The District of Columbia and Catholic universities — march on the U.S. Capitol East Lawn to protest against the confirmation of Supreme Court nominee Judge Brett Kavanaugh Oct. 06, in Washington. Groups of protesters lined by police gather on Capitol Hill on Oct. 5. The U.S. Senate is expected to confirm conservative judge Kavanaugh as the next Supreme Court justice, offering President Donald Trump a big political win and tilting the nation's high court decidedly to the right. 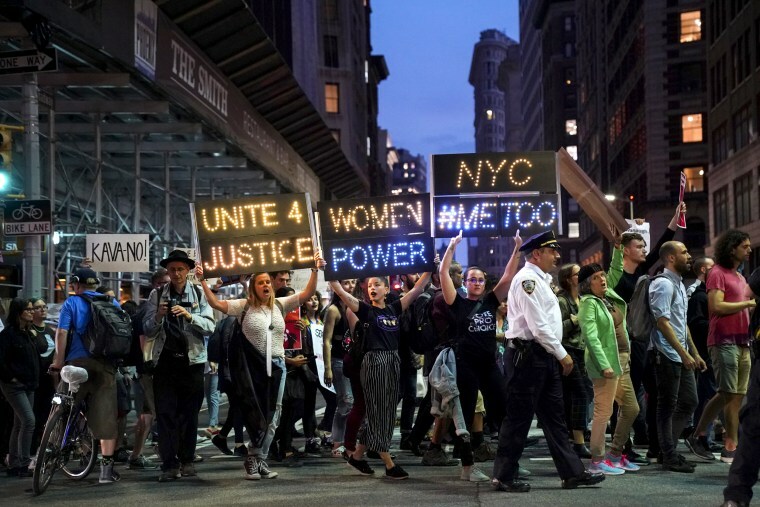 Activists hold a protest and rally in support for Christine Blasey Ford near Trump Tower in New York on Oct. 4. 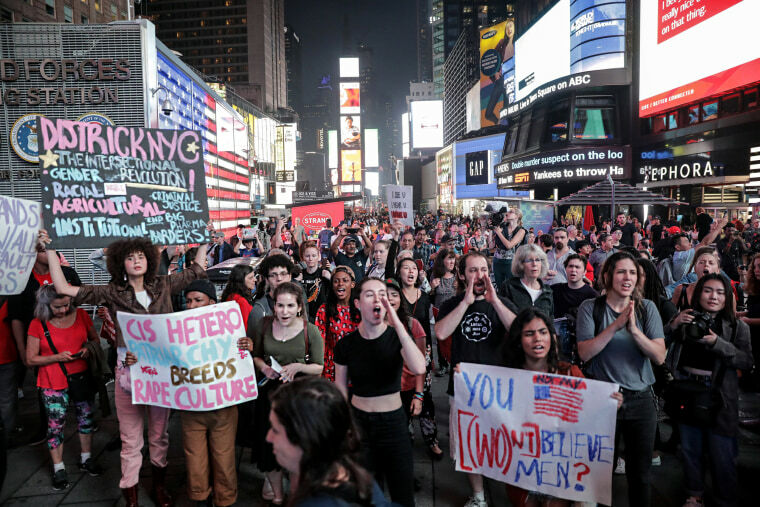 Activists hold a protest in the middle of Times Square in New York on Oct. 4. 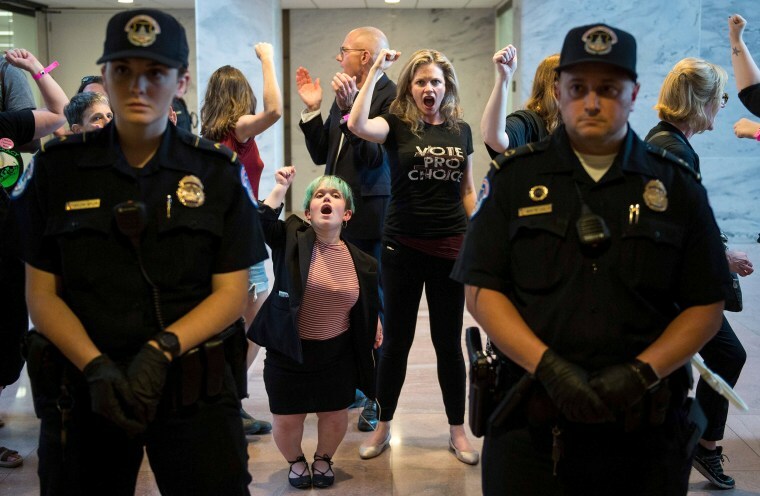 Police look on as protesters are arrested in the Hart Senate Office Building during a rally on Oct. 4. 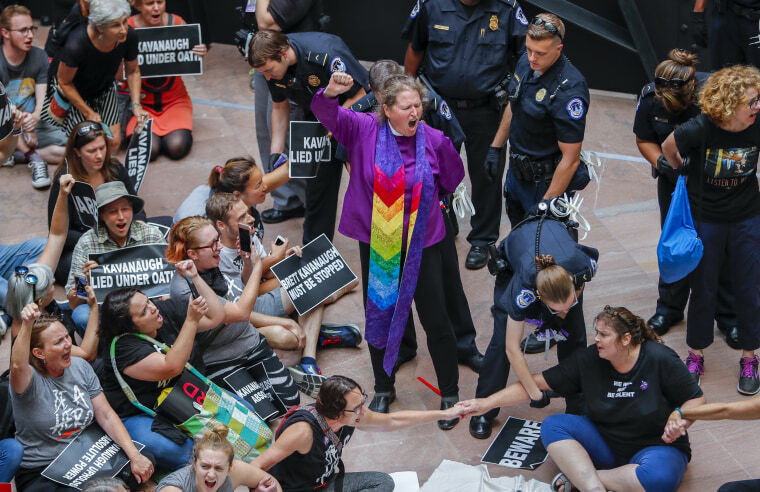 Protesters are detained in the atrium of the Hart Senate Office Building on Oct. 4. 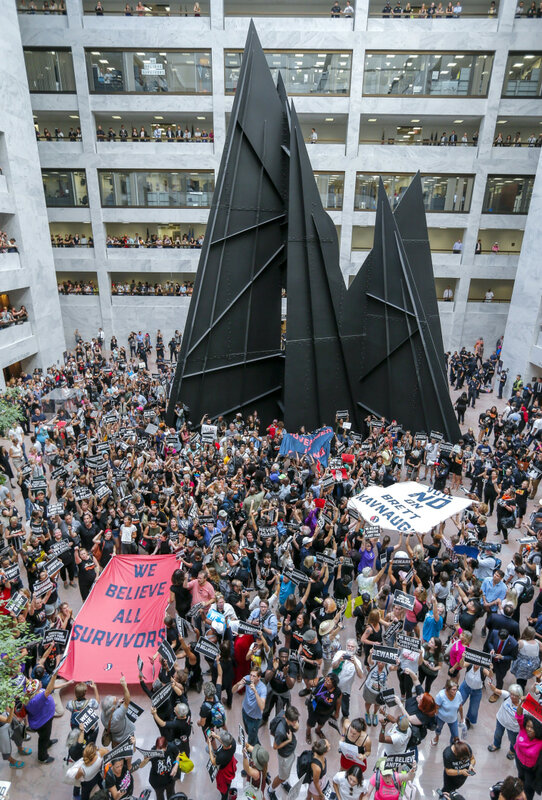 Demonstrators fill the atrium of the Hart Senate Office Building as congressional staffers look on from offices and balconies on Oct. 4. 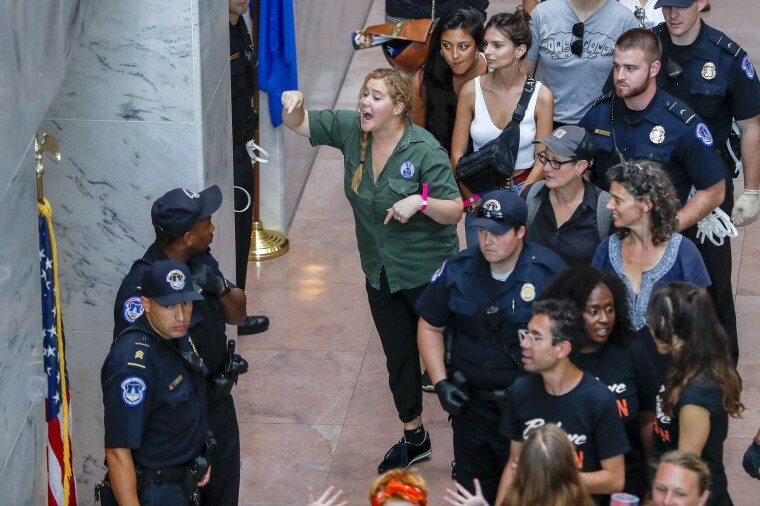 Comedian Amy Schumer gestures after being detained along with hundreds of other protesters on Oct. 4. 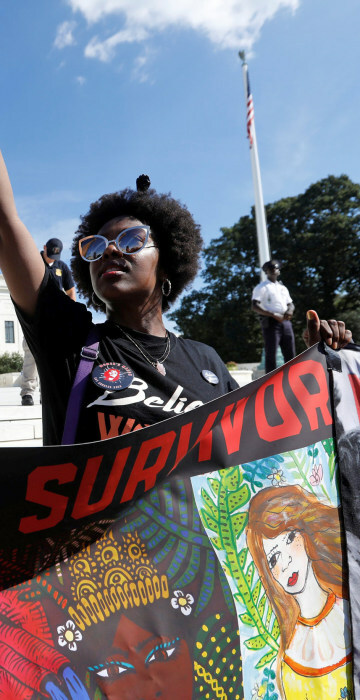 Activists rally on Capitol Hill on Oct. 4. 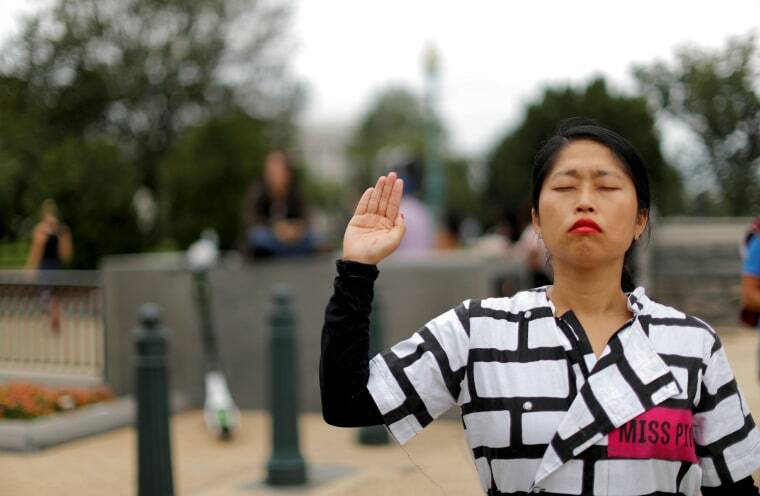 An activist holds up her hands while rallying in front of the U.S. Supreme Court on Oct. 4. 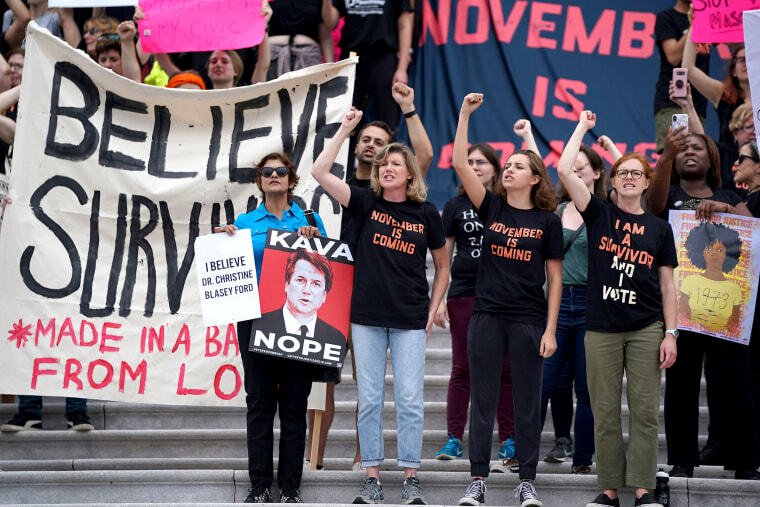 Activists hold signs and gesture in front of the Supreme Court on Oct. 4. 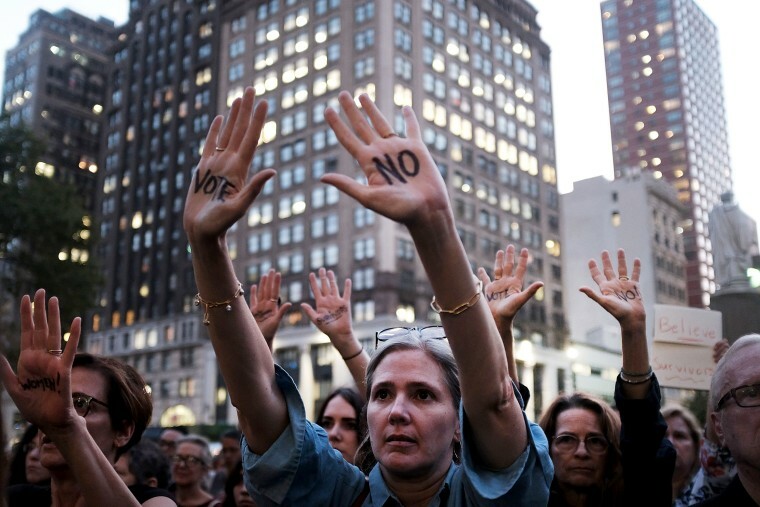 Women attend a rally and vigil in front of a Brooklyn court house on Oct. 3 in New York. 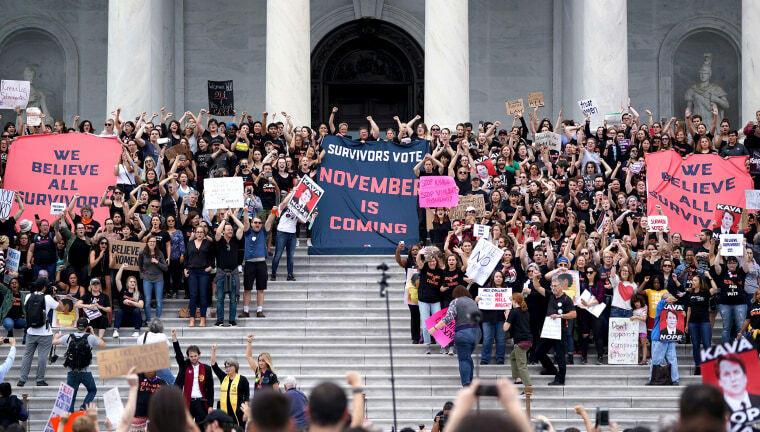 The rally, which was organized by MoveOn, attracted over 100 men and women who demanded an end to sexual violence and for politicians to reject Kavanaugh. 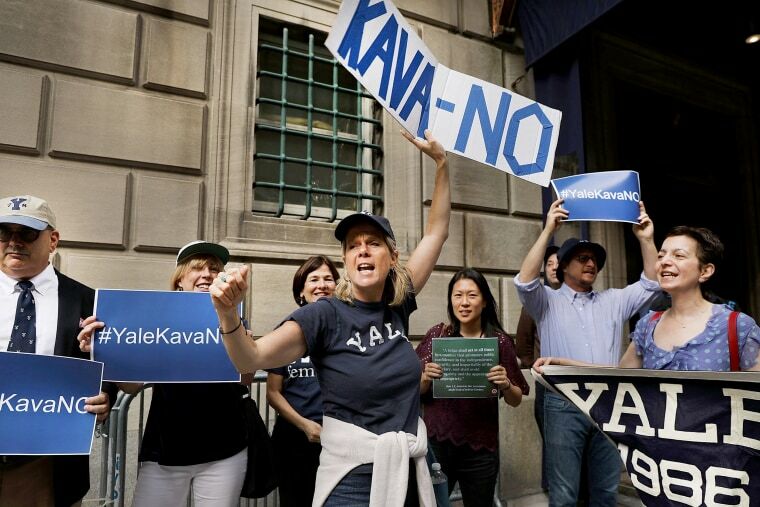 Yale alumni gather in front of the Yale Club to voice their opposition to the confirmation of Judge Brett Kavanaugh, who also received degrees from Yale, on Oct. 2 in New York City. 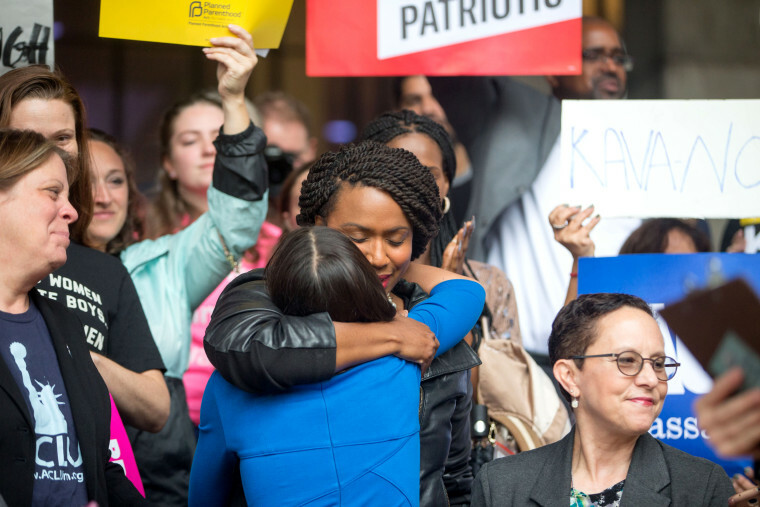 New York Democratic congressional candidate Alexandria Ocasio-Cortez hugs Boston City Councilor and Democratic congressional candidate Ayanna Pressley at a rally calling on Sen. Jeff Flake (R-AZ) to reject Judge Brett Kavanaugh's nomination to the Supreme Court on Oct. 1 in Boston. 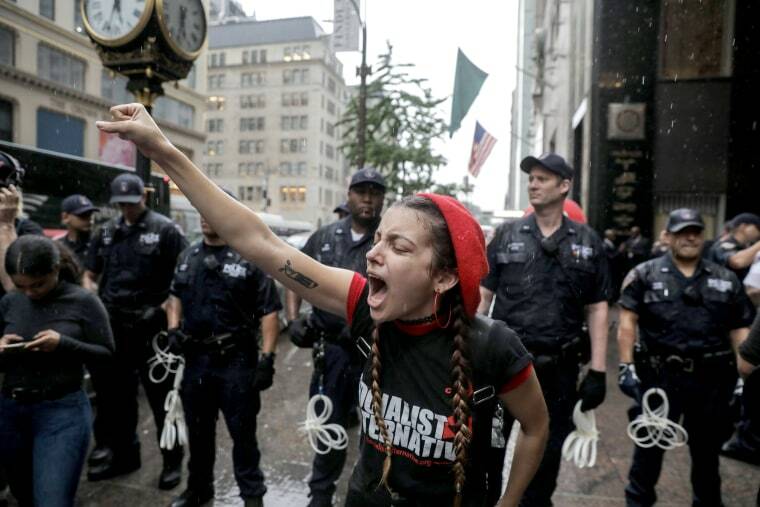 Protesters march through midtown on Oct. 1 in New York City.